Join the discussion on our forums! 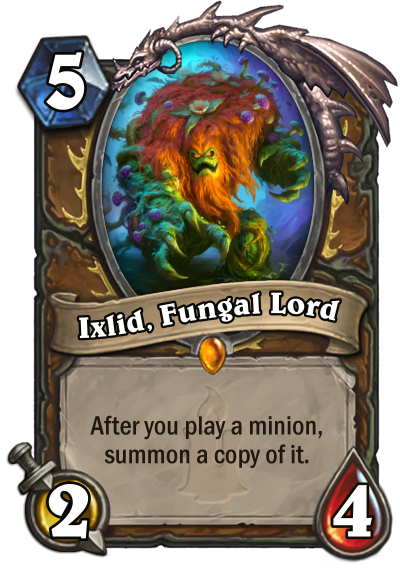 Come discuss Ixlid, Fungal Lord over in our dedicated Ixlid, Fungal Lord discussion topic. After you play a minion, summon a copy of it. We suggest crafting Ixlid; he'll grow on you. Literally. Does it also trigger the Battlecry of summed minion? Memes aside, I don't see this card working in anything but a combo deck. 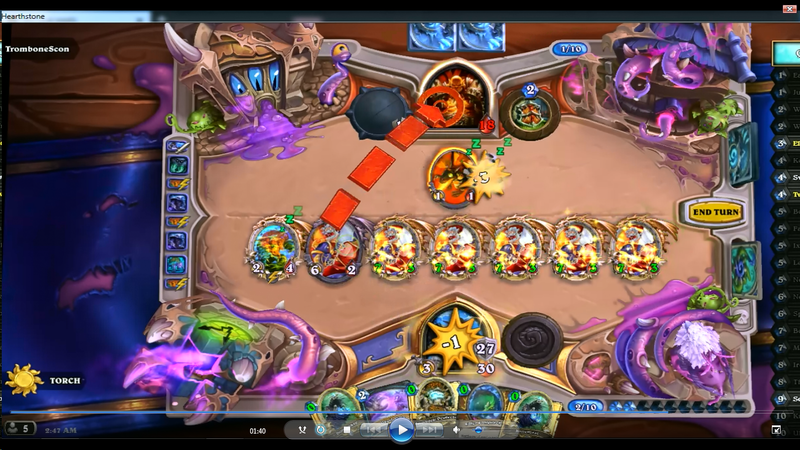 -There is the usual Aviana Kun Malygos OTK shenanigans, and that deck is pretty good. -And then there is Quest Druid. Making your big minions cost 0 works very well with Ixlid, Fungal Lord, you often end up drawing them too early though. If only Barnabus discounted all minions in your hand too, or worked like Quest Rouge's Rest-of-the-Game Buff. Playing Ixlid, Fungal Lord into [card]Faceless Manipulator[/card] and proceeding to drop Tyrantus is pretty funny though. ixlid + blood of the ancient one. why no one play this in quest druid? This would be so much better if it summoned your opponent's board full of noxious spores that are poisionous to heroes, but with the deathrattle deal 5 damage to your hero. Easy fix, take it down one manna. First of all it has to be a spell heavy deck, for obvious reasons below. This comes to 38/44 in stats from an empty board now with 7 creatures. and since your druid, you can probably do this before the enemy even reaches 9 mana. you just have to survive one turn. thoughts on this ? does it seem to hold any merit ? just play ixlid and double arcane giant. While it may sound good, quest doesn't need that much dedication to "how to win after completing quest? ", rather to "how to complete and not to die in process". Trust me. would this copy a Cabal Shadow Priest? assuming battlecries trigger before the minion enters.